This is a simple tutorial on how to photograph the moon and includes tips to ensure that you get the best results in your photographs. When we finally have a clear sky and get to see the moon at all, it is a sight that many often try to photograph, whether of the moon itself or in addition to a landscape or cityscape photograph. 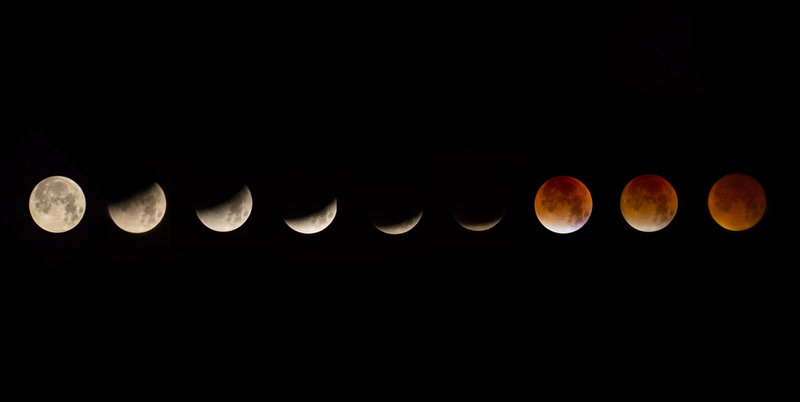 The lunar eclipse is also a great sight to behold and capture. 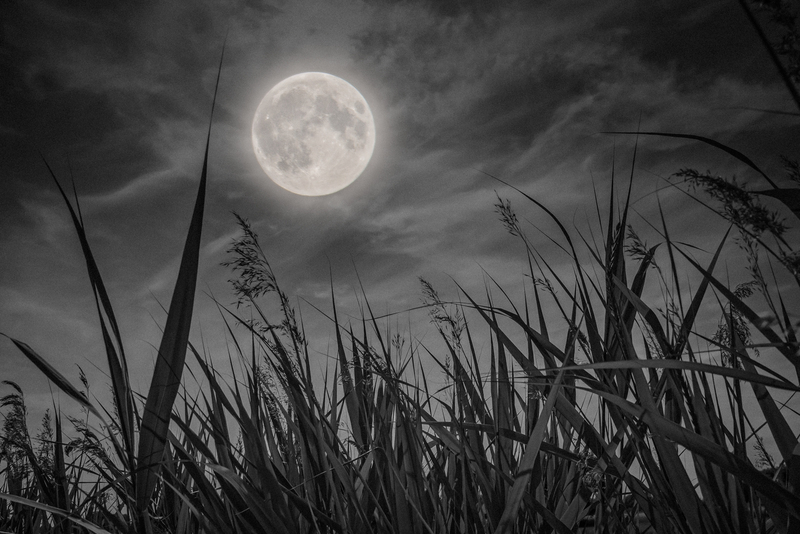 However, if you have ever ended up with just a small white blob in your photographs in place of the moon, read on! A solid tripod or other support is definitely the way to go – any movement of your camera will result in a blurry image – especially emphasized when using long focal lengths. Using the mirror lockup feature in your DSLR will help with mirror shake adding blur. Again even pressing the shutter button on the camera may result in camera shake so using a remote release if you have one (or else the remote timer built into your camera as an alternative) will help reduce any vibrations that may affect sharpness. Use the longest lens you have to obviously have a more detailed image of the moon. A 200mm telephoto lens is a good starting point. Shoot in RAW format so that you have more data recorded in your image file. I recommend that you always shoot in RAW for this very reason! Using live-view mode to focus will allow you to zoom in and ensure accurate focus (your camera will unlikely be able to autofocus accurately on the moon in the dark night sky. The moon is very bright and whilst the rest of the sky is obviously dark, this is where many people trip up and try to use a shutter that is much slower than is necessary or additional exposure compensation than is necessary. (click here to read my simple guide to using exposure compensation correctly). Shoot in manual mode and set your aperture around between the f5.6 – f8 range and then adjust your shutter speed to get the correct exposure. Using live view mode (if you camera has this) will make the process easier. Start with a shutter speed around 1/200s and set your iso at around 200, although you may well need to play with these settings. Don’t forget that as the moon is moving, if you use a shutter speed that is too slow then the movement will be captured resulting in a less clear image. If you need more light then play with your iso too but again don’t push it too far as you will add additional noise into your image. (you can read my guide about iso here). Shooting the moon while it is lower in the sky will make it appear larger, but remember that a crescent moon can also add something extra in the sky in a landscape too!